In today’s labour market, successful truck fleets and logistics companies know that staying abreast of the issues will help them stay ahead of the competition. Follow Trucking HR Canada’s 10 part “Modernizing Your HR Approach” blog series as we navigate emerging trends and share tips for finding, hiring, and retaining the talent you need. Miguel Mangalindan is a Senior Associate Lawyer at Monkhouse Law where he practices Employment, Human Rights and Disability Insurance Law. He was a panelist at Trucking HR Canada’s Mental Health symposium last October, and recently participated as one of the Learning Highway session presenters at Women with Drive, sharing insights on how Bill C-86 will impact you. This week, we invited him to again share his expertise with us through our Blog Series. 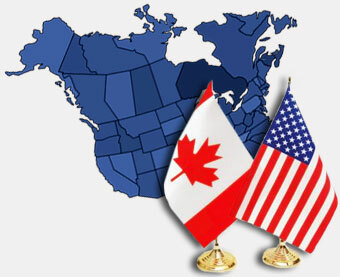 One of the most important regulatory issues for trucking and logistics HR managers this year involves Bill C-86, which will amend the Canada Labour Code and significantly affect federally regulated employers. These amendments involve work scheduling and break periods, pay equity, termination, and more. This is the first of a four-part contribution to Trucking HR Canada’s “Modernizing Your HR Approach” blog series covering some of the changes in Bill C-86, starting with new provisions related to leaves of absence and vacation pay. Personal leave: Employees will be entitled to “personal leave” for up to five days a year (three days paid). Personal leave covers a wide range of reasons, including illness and family obligations. Medical leave: The 17-week leave for personal illness or injury will be expanded to include organ or tissue donation and medical appointments during working hours. Family violence: Employees who have completed three months of service are entitled to a 10-day leave if they are a victim of family violence or a parent of a child who is a victim of family violence. The first five days of family violence leave are with pay. Court or jury duty: Employees will be entitled to unpaid leave in order to act as witnesses or jurors in a judicial proceeding or to participate in a jury selection process. The minimum federal standard for paid vacation time will be two weeks after one year of employment, three weeks after five years, and four weeks after 10 years. Bill C-86 will increase the rate of vacation pay for longer service. For example, a person who has been with the same employer for at least 10 consecutive years will be entitled to vacation pay equal to 8% of their wages during the year of employment in respect of which they are entitled to the vacation. The bill will also eliminate the 30-day period of employment presently required for an employee to be entitled to holiday pay for a general holiday. Many of these amendments will not come into force until September 1 at the earliest, so now is the time to assess whether your policies and procedures will be in compliance. We encourage affected employers to learn more about C-86 and prepare for these changes by conducting a full review. Miguel Mangalindan is a Senior Associate Lawyer at Monkhouse Law, a Toronto Employment & Labour Law boutique firm. His practice areas include workplace, human rights, and disability insurance law, and his clients are both employers and employees. He has represented many federally regulated employers, including trucking companies, and is keen to the HR issues that this particular industry faces. He completed his Juris Doctor degree at the University of Windsor, after obtaining a Bachelor of Arts degree (with Honours) in Psychology from McGill University. Miguel is an active member of the Ontario Bar Association, Toronto Lawyers Association, and the Federation of Asian Canadian Lawyers. A driver’s career may be on the line if a drug screen comes back positive. To avoid any misunderstandings surrounding the use of CBD oils, be sure to bring up the topic during driver training. Cannabidiol (CBD) oil is becoming a commonly used natural alternative to pain medicine. But, commercial drivers should be cautioned that use of CBD oil — even if derived from hemp — may result in a positive DOT drug screen. Looking at THC (tetrahydrocannabinol) concentrations alone, you might incorrectly assume that only marijuana-based CBD oil has the potential to show up in a DOT drug panel. THC concentration is dependent upon the manufacturing process and how much oil the individual is using. Even hemp-derived CBD oils can register at a level that is considered a DOT drug testing violation. What Do DOT Regulations Require? Use of THC is forbidden for a regulated driver, no matter the source. As a result, medical and recreational marijuana and some CBD oils, even if legal under state law, are federally banned. Since THC is an absolute under DOT drug testing, a medical review officer (MRO) must not take the medicinal use of a CBD oil into consideration as he or she determines a drug test result. A positive drug test result requires the motor carrier to remove the driver from safety-sensitive functions until specific steps in the DOT return-to-duty process are successfully completed. Have negative results for follow-up testing. Trace amounts of THC may show up in a DOT urine specimen. MROs will not accept CBD oil as a valid medical explanation for a positive DOT drug test. Enforcement may consider CBD oil in a commercial vehicle as possession. Officers are unable to determine the concentration of THC in the oil, and there has been no official guidance for them to follow. Labels don’t tell the whole story. Packaging for CBD oil may claim to be THC-free or below traceable limits, when in fact, they contain enough to be detected during a drug screen. One final caution to bring to your drivers’ attention: CBD oils sold in states with legalized marijuana may have been processed from the marijuana plant, resulting in a higher concentration of THC. Drivers should leave training with a greater understanding that any CBD or THC use is potentially a violation waiting to happen. About the Author: Kathy Close is a transportation editor at J.J. Keller & Associates, Inc. Her areas of expertise include transportation security, DOT drug and alcohol testing, and driver qualification. 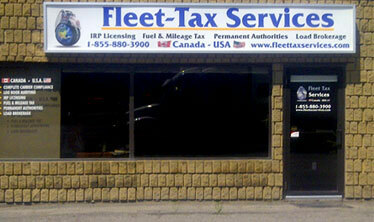 As of August 25, 2014 Fleet-Tax Services has moved their offices to Beamsville Ontario. The new office is directly across from the Relay Truck Stop in Beamsville allowing for convenient truck parking for those that require it. Formerly at the Fifth Wheel in Grimsby the company had to to move due to a reconfiguration plan at the old location. The new location allows for large office space and a more convenient location for those traveling to the United States. If you are going by the area please stop in and say hello. The same great friendly service is still a main stay of Fleet Tax Services. We look forward to seeing you.